Tracking moisture, snow and meltwater across the ‘third pole’ will help communities to plan for climate change, argue Jing Gao and colleagues. Jing Gao is an associate professor at the Institute of Tibetan Plateau Research, Chinese Academy of Sciences (CAS), Beijing; and at the CAS Center for Excellence in Tibetan Plateau Earth Sciences, Beijing, China. Tandong Yao is a member of the Chinese Academy of Sciences (CAS); a professor at the Institute of Tibetan Plateau Research, CAS, Beijing; and at the CAS Center for Excellence in Tibetan Plateau Earth Sciences, Beijing, China. Valérie Masson-Delmotte is a senior scientist at the Laboratory for Sciences of Climate and Environment (CEA-CNRS-UVSQ/IPSL), Gif-sur-Yvette, France. Hans Christian Steen-Larsen is a senior researcher at the Geophysical Institute, University of Bergen; and at the Bjerknes Centre for Climate Research, Bergen, Norway. Weicai Wang is an associate professor at the Institute of Tibetan Plateau Research, Chinese Academy of Sciences (CAS), Beijing; and at the CAS Center for Excellence in Tibetan Plateau Earth Sciences, Beijing, China. The ‘third pole’ is the planet’s largest reservoir of ice and snow after the Arctic and Antarctic. It encompasses the Himalaya–Hindu Kush mountain ranges and the Tibetan Plateau. The region hosts the world’s 14 highest mountains and about 100,000 square kilometres of glaciers (an area the size of Iceland). 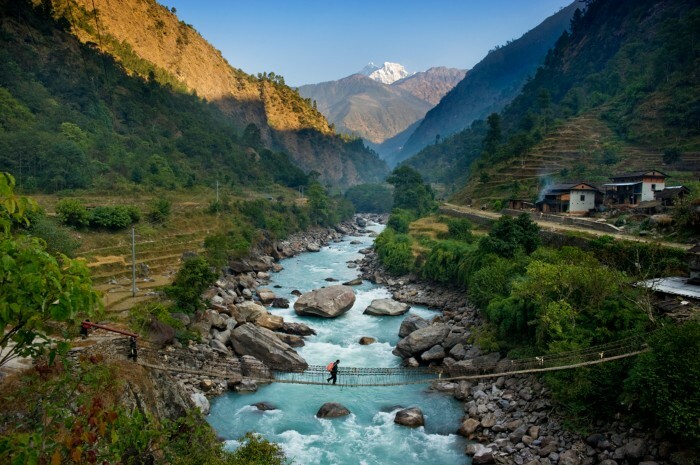 Meltwater feeds ten great rivers, including the Indus, Brahmaputra, Ganges, Yellow and Yangtze, on which almost one-fifth of the world’s population depends1. Climate change threatens this vast frozen reservoir (see ‘Third pole warming’). For the past 50 years, glaciers in the Himalayas and Tibetan Plateau have been shrinking2. Those in the Tian Shan mountains to the north have lost one-quarter of their mass, and might lose as much as half by mid-century3. Their meltwater is expanding lakes4. River flows at the start of summer peak earlier than they did 30 years ago5. And weather patterns are shifting. A weaker Indian monsoon is reducing precipitation in the Himalayas6 and southern Tibetan Plateau; snow and rain are increasing in the northwestern Tibetan Plateau and Pamir Mountains2. Sources: Temperatures: T. Yao et al. Bull. Am. Meteorol. Soc. (in the press); Snow cover: S. S. P. Shen et al. Theor. Appl. Climatol. 120, 445−453 (2015); Glaciers: ref. 2; Map: J. Gao, T. Yao & W. Wang. Researchers still don’t understand why these changes vary so much across the region, or how they will pan out. Some rivers in central Asia, such as those feeding the Aral Sea, are projected to gradually dry up7. Others — such as the upper Ganges, Brahmaputra, Salween and Mekong — are likely to swell, at least until 20507. Already, Tibetan communities are dealing with the impacts of collapsing glaciers. In October 2018, debris dammed the Yarlung Tsangpo River, which forms the headwater of the Brahmaputra, threatening areas as far afield as Bangladesh with flooding. Communities need information to help them manage risks and water supplies. They need to know which glaciers are melting fastest, and how changing snowfall and a warmer climate are affecting the accumulation and disappearance of ice and the volumes of rivers and lakes. The water cycle is hard to monitor in this vast, high and remote region. Satellite images and climate models are too coarse to resolve local changes. A network of monitoring stations is needed across the region. It must track classical meteorological variables, such as air temperature, humidity, air pressure, precipitation and winds. And it needs to expand data on the water cycle, by measuring the stable isotopes of hydrogen and oxygen in water vapour. This provides crucial insights into the origin of atmospheric moisture and the processes it has gone through, such as evaporation and condensation. As a first step, an international scientific programme called the Third Pole Environment (TPE; led by T.Y.) 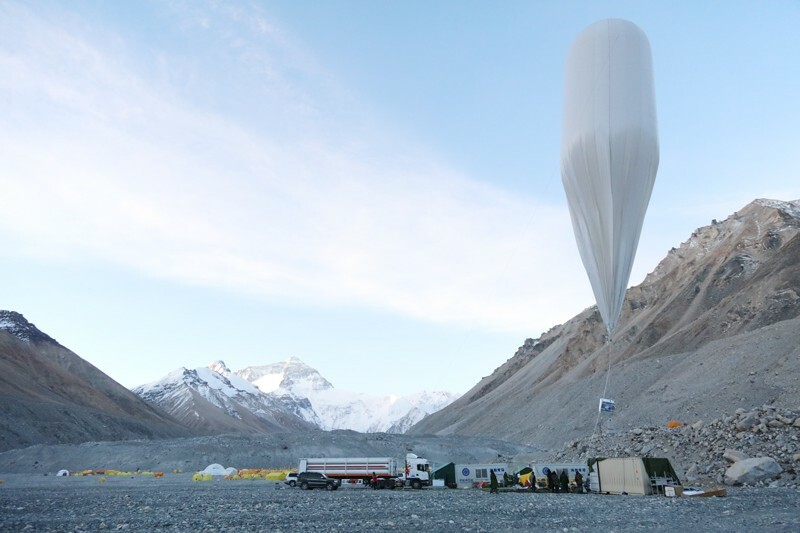 has set up 11 ground stations and tethered balloons since 2014, working with the Institute of Tibetan Plateau Research, Chinese Academy of Sciences, in Beijing. This monitoring network is already larger than similar efforts in Antarctica and the Arctic, and almost doubles the number of such stations around the world. But there is more to be done. Researchers need a better understanding of the relationships between the third pole’s complex terrain and the weather patterns and processes that affect precipitation and ice-melting. The water cycle must be traced in three dimensions — as liquid water, ice and water vapour, on the ground and in the air — and changes monitored. Computer models also need to be tailored to provide accurate projections for the region. Two weather patterns — the Indian monsoon and prevailing westerly winds — drive most of the moisture flow towards the third pole. As the Indian continent heats up in spring and summer, convection draws moisture northwards from the Bay of Bengal, Arabian Sea and Indian Ocean; this falls as precipitation in the Himalayas and beyond8. In the north and west of the region, strong westerly winds bring moisture from the Mediterranean. Across the whole region, water also evaporates from the soil and is given off by plants through transpiration. We know these patterns thanks to observations of stable isotopes in water. In the vertical dimension, such data are revealing how moisture mixes in air masses and through processes at the atmospheric boundary layer. That information also records how moisture is released daily from glaciers, as their surfaces and the air heat and cool. We still lack a quantitative understanding of the role of each process in the overall water budget. Nor is it clear how much water passes between solid, liquid and vapour phases, affecting regional hydrology. Physical processes that affect glaciers are poorly understood, including the impacts of aerosols and surface debris on ice accumulation and melting. We cannot predict how much meltwater will descend into lakes and rivers, nor how wet soils might increase local precipitation. The region’s complex and varied topography is another confounding factor. Then there is climate change. The westerly jet stream in East Asia has strengthened in winter for the past few decades9, yet the Indian summer monsoon is weakening. Both trends affect the distribution of snowfall and thus the reflectivity (or albedo), energy budget (the balance of all the energy that enters and leaves the Earth system) and the water budget of the land’s surfaces. Global climate models are designed to simulate large-scale features of atmospheric circulation, and so struggle to reproduce weather patterns in the third pole. New models and data will be needed to improve them. Only 0.1% of glaciers and lakes in the region have monitoring stations. Few areas higher than 5,000 metres above sea level have weather stations, let alone water-isotope detectors. The first priority must be to extend the network of weather and isotope-monitoring stations. There are already plans to install 20 additional stations across a wider area of the third pole later this year; others can be added as learning progresses. The installation is part of China’s Pan-TPE research programme, involving scientists from Norway to Nepal. It has a budget of 1.48 billion yuan (US$215 million) for 5 years to study environmental changes in the third pole, Iranian Plateau, Caucasus Mountains and Carpathian Mountains. Another programme — the Second Tibetan Plateau Scientific Expedition and Research (STEP) project — will receive 4.35 billion yuan over 5 years from 2019 to study environmental change in the Tibetan Plateau. Throughout this 10-year programme, the cost of instruments, staff and maintenance is likely to rise from 8 million yuan a year to about 150 million yuan. Most of the monitoring stations will be set up along two axes. A south–north line of 15 stations at 100–500-kilometre intervals, stretching from the tropical Indian Ocean, across Bangladesh and Nepal to the Tian Shan Mountains, will monitor processes linked to the monsoon. An east–west transect, stretching from the Iranian Plateau to China’s Loess Plateau, and comprising 12 stations 200–500 kilometres apart, will examine the impacts of the westerlies. Snow and rainfall, glacier melt and lake and river discharge will be observed in river basins, along with levels of glacial debris, permafrost and groundwater. The interplay between elevation, atmospheric circulation and water vapour will be tracked through hourly measurements at three hotspots: the Pamir Mountains (dominated by westerlies), the Himalayas (affected by the Indian monsoon) and the Hengduan Mountains (where the East Asian monsoon prevails). Each site will host 10 stations at 200-metre intervals in altitude. Installing and maintaining this network will be challenging. Devices must be robust and equipped with the latest technologies, such as fast, laser-based spectroscopic isotope measurements and high-resolution light detection and ranging (lidar) systems. Instruments must be regularly calibrated. More than 200 professional staff members must be trained to run them. The second priority is for data to be shared and fed into global and regional climate models. A new generation of Earth-system models should be developed for the third pole, representing its atmosphere, cryosphere, hydrosphere and biosphere. Models should include interactions at very high resolution and encompass water’s stable isotopes, as well as aerosols and biogeochemical cycles. These models should explore the regional implications of different scenarios of human activities and climate-mitigation strategies (greenhouse-gas emissions, aerosols, land-use changes, water management). They should also quantify changes in river run-off and water quality. Such models would guide regional strategies for adapting to climate change, for preserving and restoring ecosystems and their services, and for conserving biodiversity. Scientists around the world in multiple disciplines, from climatology to social science, must work together. And local people’s needs must be central. Researchers should help communities to understand what is happening to their climate and environment, and enable them to craft strategies for managing risks and adaptation. For example, scientists’ assessments of major ice collapses of the Aru glaciers in western Tibet in 2016 enabled the local government to establish a hazard-warning system and to relocate threatened communities. As the impacts of global warming reverberate around the third pole, science must be at the fore. Immerzeel, W. W., van Beek, L. P. H. & Bierkens, M. F. P. Science 328, 1382–1385 (2010). Yao, T. et al. Nature Clim. Change 2, 663–667 (2012). Farinotti, D. et al. Nature Geosci. 8, 716–715 (2015). Zhang, G. et al. Geophys. Res. Lett. 44, 252–260 (2017). Huss, M. & Hock, R. Nature Clim. Change 8, 135–140 (2018). Roxy, M. K. et al. Nature Commun. 6, 7423 (2015). Lutz, A. F., Immerzeel, W. W., Shrestha, A. B. & Bierkens, M. F. P. Nature Clim. Change 4, 587–592 (2014). Yao, T. et al. Rev. Geophys. 51, 525–548 (2013). Li, W. Nature Commun. 9, 4243 (2018).